Hello! I’m playing project post-catch-up! Gotta start somewhere! 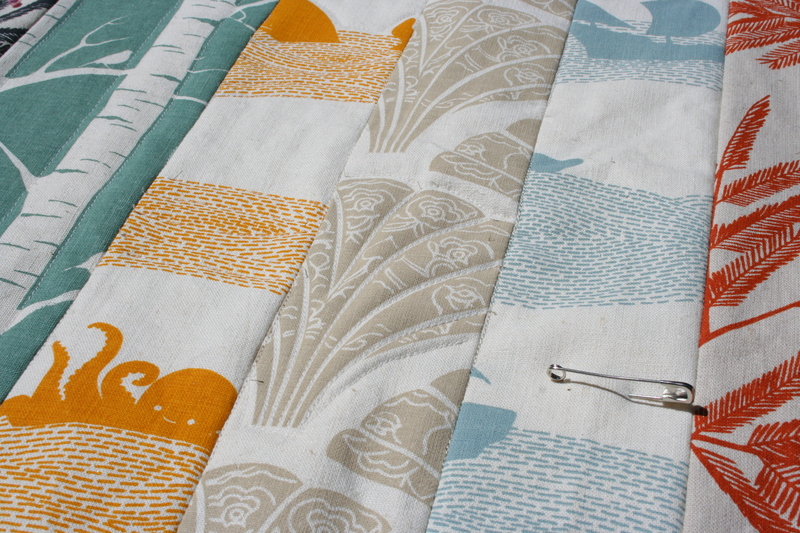 There’s lots to say about this quilt. 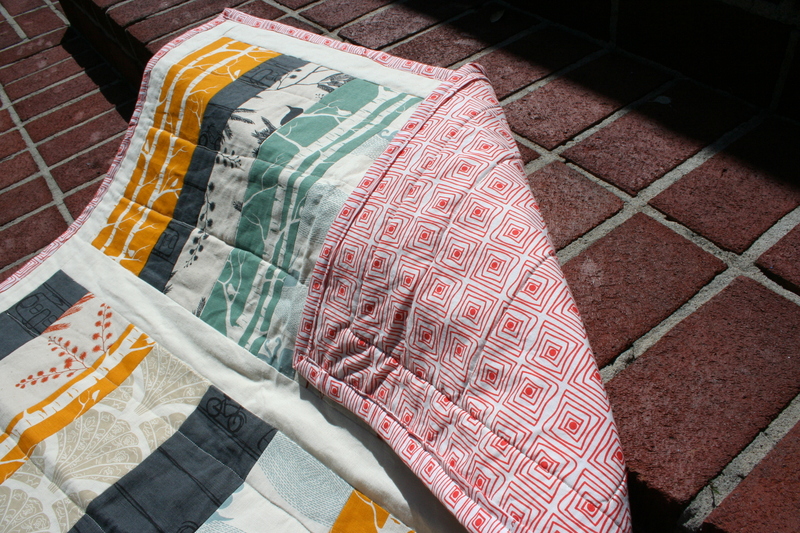 First off, its the very first quilt I’ve ever *finished*! I’ve always wanted to do one and I figured this was a good size for the first. A bit of back story… . I spent about 2.5 months in Melbourne, Australia with my Husband (then boyfriend). I didn’t know it at the time but, Melbourne is like THE capitol of hand screen-printed fabric. We went to a craft fair and I stumbled upon this wonderful company, Ink & Spindle. These girls are AMAZING and so friendly. I only bought a few fat quarters at the time but wished I had bought more when I got back to the states. Luckily my Mother In Law lives in Melbourne and sent me this kit for a little kid’s quilt. 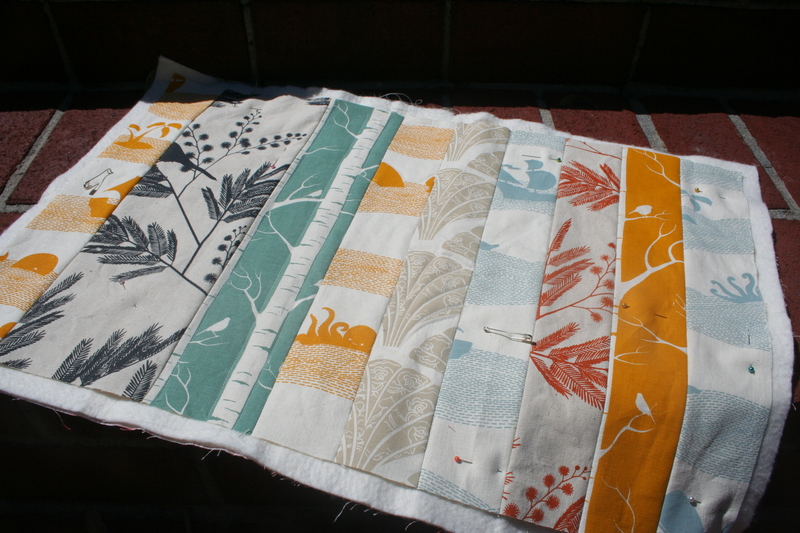 After I cut all my strips, I used some test fabric to practice the “quilting” part. I intended to quilt the whole quilt this this way. 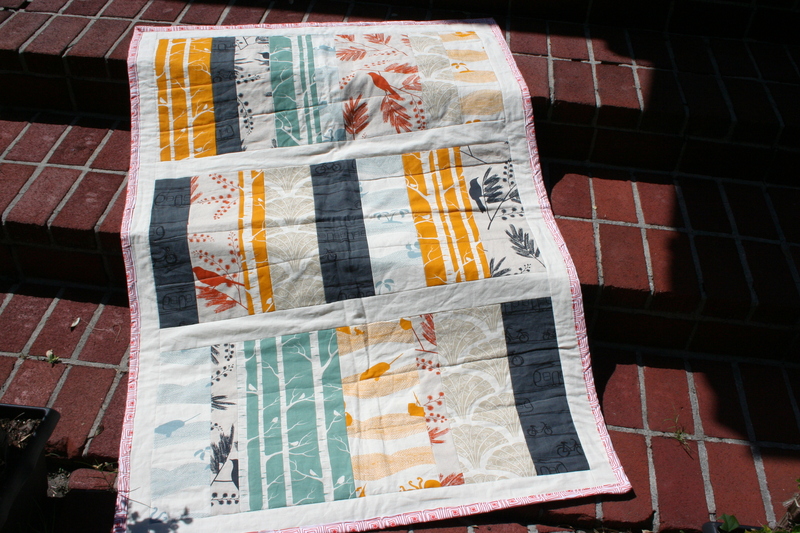 It was hard to pick a good backing… the kit didn’t come with the same linen cloth the border was made out of. I *think* this is a print by Henry Glass & Co called ” Summer Time”, I liked it and that was good enough! 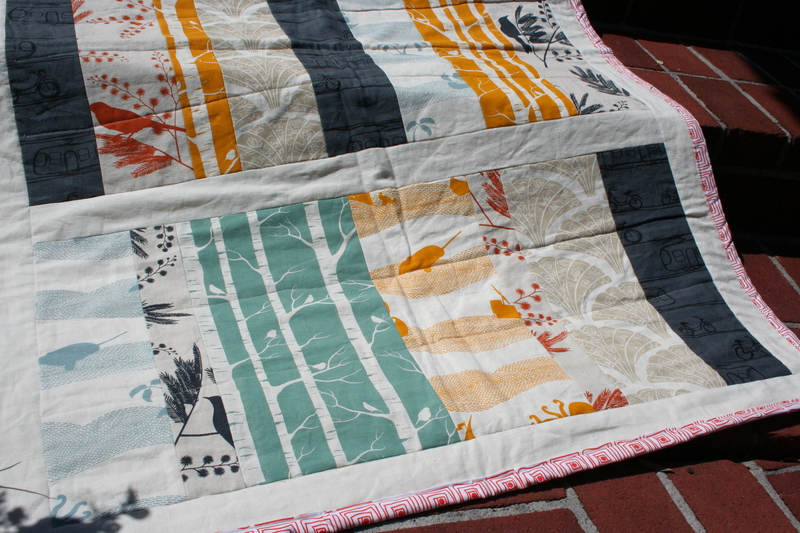 I must say that sewing with the organic, hand printed fabric from Ink & Spindle was GLORIOUS! I think that was my favorite part of the whole process was piecing everything together… oh and learning how to use the bias tape maker! So clever!